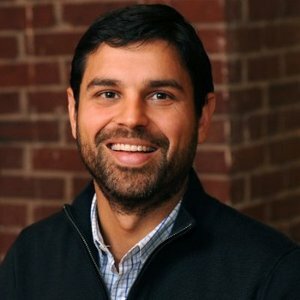 WASHINGTON, Jan. 17 /CSRwire/ - Pact has appointed veteran impact investment fund manager Miguel Granier to lead Pact Ventures, a Pact business unit serving communities across the world through impact investing and social enterprise development. Granier brings more than 13 years of experience in social enterprise. He joins Pact from Invested Development, a successful impact investing management firm that he founded in Boston in 2009. Pact established Pact Ventures in 2015 as part of a strategic expansion toward innovative funding mechanisms. Pact Ventures builds partnerships with the private sector, including traditional corporations, social enterprises and impact investors, to create both social and financial returns that improve people’s lives around the world. A leader in the emerging impact investing space, Pact also in 2015 launched a new impact investing forum for INGOs, along with Mercy Corps, GOAL, InsideNGO and the Aspen Network of Development Entrepreneurs. The forum helps organizations collaborate and learn from one another. Prior to Invested Development, Granier was the founding investment manager for First Light Ventures and founder of MCAP Consulting. He began his career in social enterprise as a loan officer for Accion New York in 2003. His earlier positions include time at Fidelity National Financial. Granier began in his new role at Pact on Jan. 9. He can be reached at mgranier@pactworld.org. Learn more about Pact Ventures here. Go here to read Amplify Impact Investing: The INGO Value Proposition for Impact Investing, an in-depth study of the current impact investing landscape in the international development sector. About Pact – Pact, an international nongovernmental organization, is the promise of a better tomorrow for all those who are poor and marginalized. Working in partnership to develop local solutions that enable people to own their own future, Pact helps people and communities build their capacity to generate income, improve access to quality health services, and gain lasting benefit from the sustainable use of the natural resources around them. At work in more than 30 countries, Pact is building local promise with an integrated, adaptive approach that is shaping the future of international development.